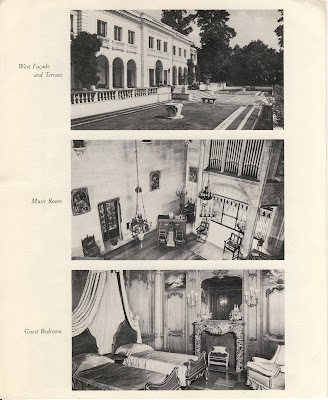 The following is a brochure advertising 'Forker House', originally the Henri Bendel residence designed by Henry Otis Chapman in Kings Point c. 1916, with landscaping by Charles Leavitt. 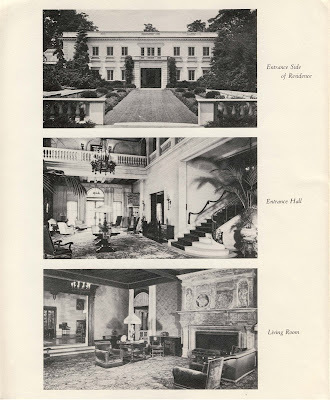 The house was sold to Walter P. Chrysler in 1923 and eventually acquired by the U.S. Government in 1938 to be used as the administration building for the United States Merchant Academy (established on site in 1943), and given the new name 'Wiley Hall'. 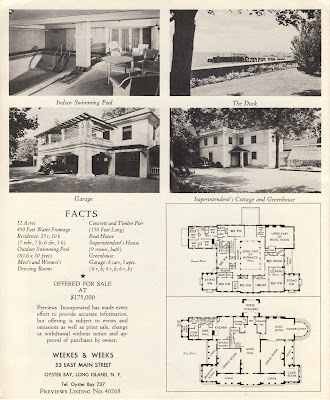 My guess is that this brochure is from when the house was for sale before the federal government purchased it. Click HERE to see 'Forker House' on google earth. What is it with these twin beds?? 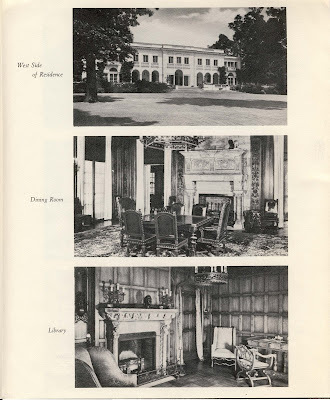 You see it here, at Winfield Hall and else were during this time frame. It's not The Lucy Show and the 50's. Was this the norm for LIGC society or America in general??? Also - At wikimapia just east of Forker House - you can find 2 of the 22 "eagles" that graced the original Penn Station in NYC. the sale pictures must have been done not too long before the gov got it cause that car in the drive of the garage is either a 35 or 36 something. 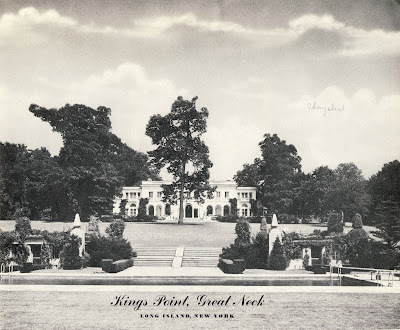 of as follows: one to Cooper Union, NYC where sculptor Adolph A.
Maine, site of quarries - but not quarries that produced the eagles, and one to Hampden-Sydney College in Va, 2 more are upstate at Ringwood State Park. One of the Clock/ Day/Night Maidens and 2 eagles are in Kansas City, minus the clock, now being used as a Eagle Scout memorial. You can find these all tagged with photos and more info at wikimapia.org. If you read a article attached to the Vinalhaven Maine tag it states the eagles came from "Massachusetts stone." 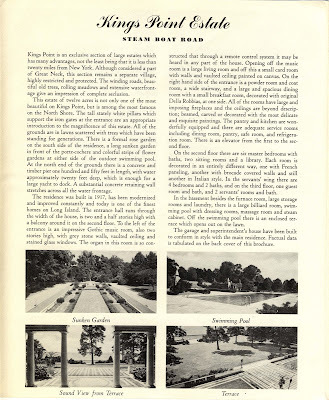 Treasure indeed, I love to see your posts on Old Long Island. Always so much fascinating history. I love to learn of these histoic propeties!